Convertible tops that follow the factory pattern. 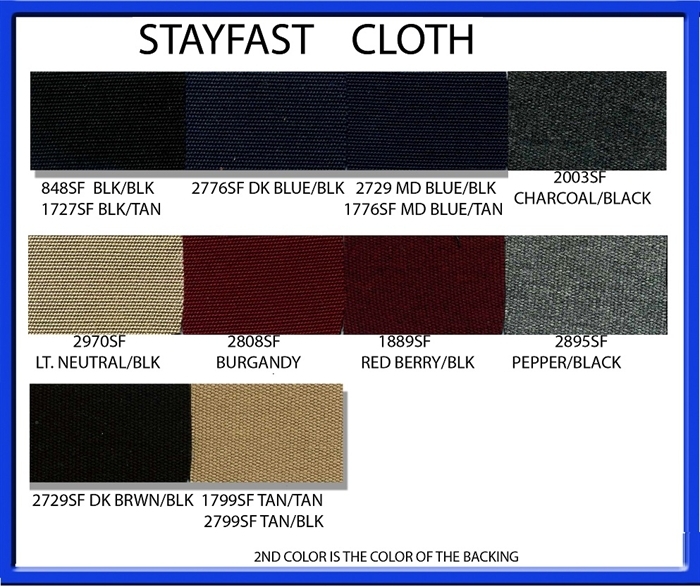 The top is made to order in the material and color you specify. Replacement convertible top kits that are guaranteed to fit your car like the original. 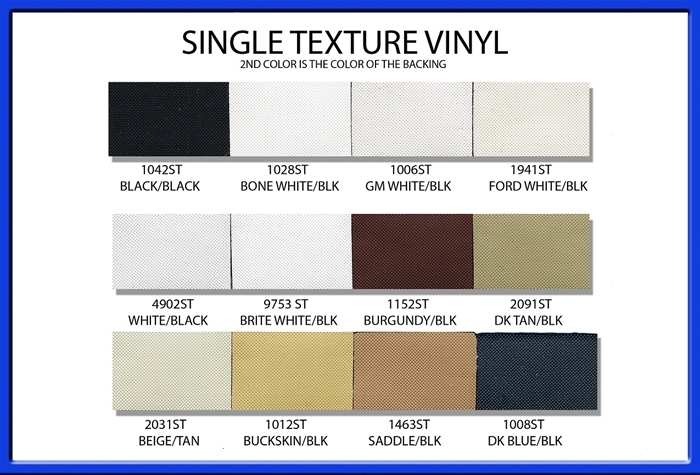 Convertible top kits are available in multiple materials and colors. 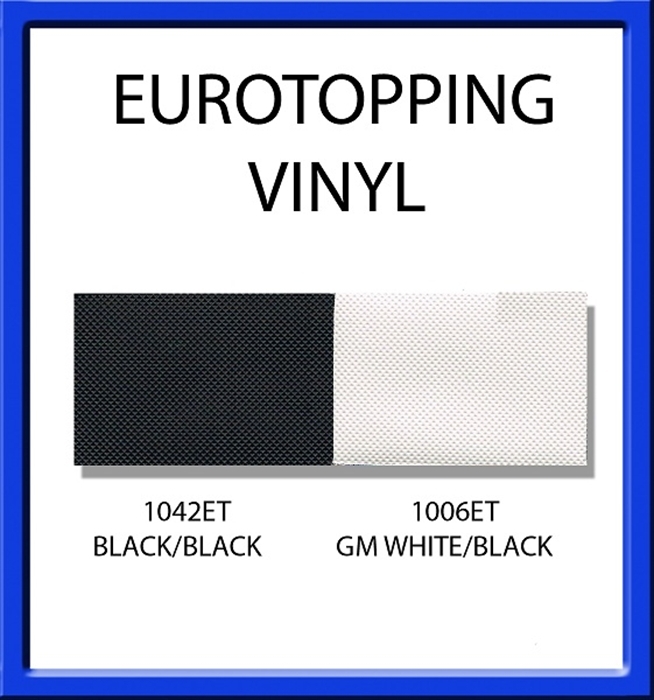 Please note: The first color is the color of the outside of the convertible top. The second color is the inside you see when the convertible top is up. For example: Tan/Black would be a tan convertible top and a black interior color.